Once upon a time, 7 years ago now, as a matter of fact, I wrote a post called “Sell, Sell = Bye, Bye” which talked about the notion that doing nothing but selling on a company social media feed would drive customers away instead of inspire them to buy. The whole premise behind the post was to drive home the idea that becoming part of the community and building trust should be the goal, not moving product. While I think my point is still valid, I also understand that building trust can be a complicated and drawn out endeavor, and that some companies may not be sure how to go about creating social media accounts that build trust. Today’s Marketing Monday post details some ways that can be accomplished. Method 1: Show off completed work – Showing off work that is completed serves a couple of purposes. First, it shows what your company can do, spotlights your creativity, and presents you as a business that produces. Second, it can serve as an inspiration for other customers who might be looking for similar work. Third, it, without the words ever being said, lets prospective customers know that your work is being purchased, which means that people are trusting you with their ideas and their money. Method 2: Ask for questions – Encourage your customers to post comments or to message you asking for ideas or thoughts on how a specific job could be done. Customers may also ask questions about particular supplies or types of garments. The idea is to position your company as an expert, and to get customers accustomed to coming to you when they want solid information and helpful answers. This technique is definitely about building trust. Studies have shown that customers are much more likely to do business with companies and people that have demonstrated they are trustworthy. Providing unbiased, helpful information is one way to do that. Method 3: Ask for reviews – Reviews can come through the mechanism that is used by an individual social media platform to allow and encourage reviews. Those are helpful and often referenced by potential customers. The other option for reviews is to ask customers who are pleased to post on their social media feed, so you can share the post on yours, or to post on your feed directly. The posts don’t have to be elaborate, a simple “Thanks XYZ Company! My daughter loves her new shirt” accompanied by a picture of said daughter wearing the shirt and a big grin is more than enough. Method 4: Ask for referrals – Referrals are all about trust. Someone, a current customer of yours, recommends you to a friend or business associate who needs the kind of work you do. The friend/business associate trusts the person who made the recommendation and therefore trusts you by association. Some companies will solicit referrals by offering a discount on the next order of the person/company that made the referral. That is a valid technique, just make sure the referral actually pans out into a quality customer before rewarding the company that made the referral. Method 5: Share a view behind the curtain – On the EnMart Facebook page, I sometimes talk about the weather, or share a picture of the company owner’s dog doing something funny. Sometimes we’ll share video of a piece of equipment running, or talk a bit about why use a particular product or work with a particular company. You don’t have to share trade secrets, and you don’t have to get personal, but letting customers have a little glimpse into your process and how your company operates can help them to trust you and your company more. 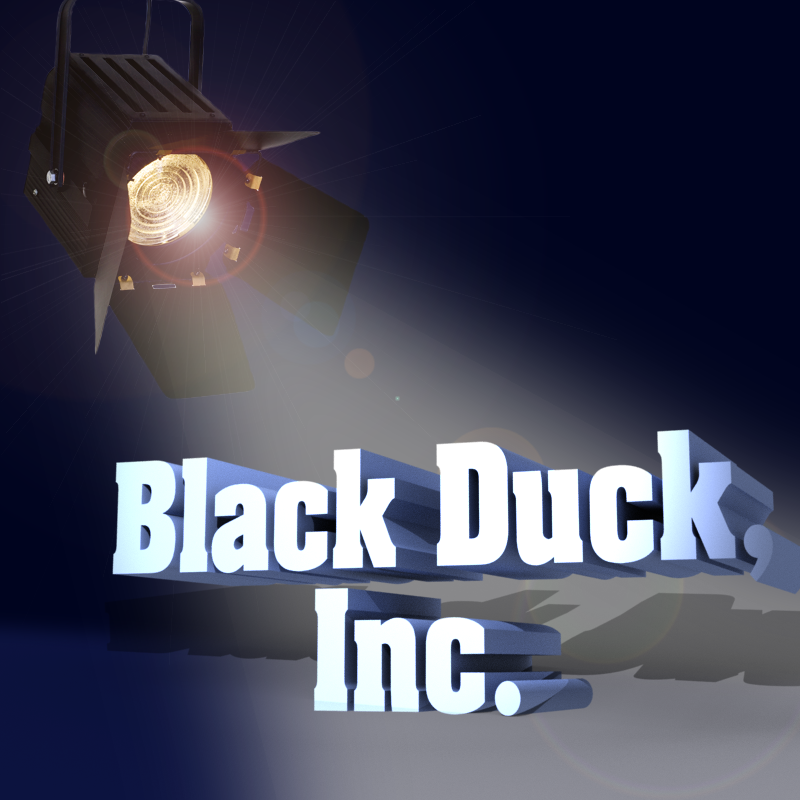 Customer Spotlight: Black Duck Inc. Anyone who knows anything about machine embroidery probably knows about Erich Campbell and Black Duck Inc. He is the digitizing guru who creates the fabulous works of art for which Black Duck Embroidery and Screen Printing is known, as well a sharing his expertise at www.erichcampbell.com. He writes for Printwear Magazine and for Mr. X-Stitch. Erich is a huge advocate for the industry and always willing to share his knowledge and abilities to help others. I’m honored that he took a bit of time from his busy life to answer some questions about the work he does, the company for which he does that work, and why he does business with EnMart. EC: I am primarily an embroidery digitizer, but our company does everything from small to large scale screen printing on manuals and automatics, all manner of embroidery, heat-printing, sign-making, sublimation and digital transfers, all in house and with our own art staff. EC: Creating solutions that delight people; creative problem solving is satisfying in itself, but being able to do so in a way that allows us to both exercise our love of commercial art and design and supports people in our local community makes our work an absolute joy. We have customers tell us that we are seen as the shop to seek out if no other shop can handle your work or is willing to try. We are artists, experimenters, and we work well together. What is the biggest challenge you face in doing your work? EC: Doing the work that we want to do and are good at doing and making sure to keep it profitable and responsive; probably the hardest thing to do is pull away from the work of production to make sure our business is current, keeping up with technology and promoting itself to the right audience. EC: It’s a massive cultural shift that’s causing challenges for all of us – the shift toward individual personalization is difficult, but doable, whereas the continuous pressure to deliver more quickly, almost instantly, and to produce a better product with a high-quality decoration at a commodity price can be tough. EC: I would say that I come from a long family history of makers – I wasn’t always enamored of the visual arts, though. I can draw passably well, but I didn’t while away my time drawing when I was young. I did, however, carve wood, build things, play with construction toys, work on machine and cars with my mechanic father, help my mother who at times worked as a seamstress, and last, but certainly not least, I was always a writer. Language was my first creative venture, and remains a favorite outlet to this day. EC: Be ready to fail and forgive yourself, then learn to control your variables and test. You will destroy a garment. You will have to sample things more than once, and you will make mistakes. Accept it, then learn by degrees to let it go. Analyze your failures and take what you’ve learned to heart; measure everything, and apply what you learn. You will grow by leaps and bounds once you do; you will be a sponge at first, absorbing everything, but it’s in the experimentation and doing that it will all solidify and become real. If you could travel back to when you started in this industry, what piece of advice would you give yourself? EC: Never get comfortable. Try more, execute faster, and be less conservative with your ideas. An idea is nothing until it is executed, and there is rarely a “perfect” time to try. Get more things to market and give them their season; you never know what might stick. What is your favorite leisure time activity? EC: That’s a tough one; I’m a big movie watcher and reader, but I also love hiking, drawing and teaching where I can. When you do what you love, leisure and work sometimes bleed together, even when they are tiring or difficult. In truth, I do work quite a lot though. I often joke that there’s just a break between my first shift (work at Black Duck) and my second shift (writing and teaching for the industry). Why do you buy from/work with EnMart? EC: EnMart has tested quality product and the best customer service; I’ve never had a problem ordering by any method of contact, and I can always trust the products that I ordered will come in, as ordered, on time. EnMart is reliable and saves me time. What EnMart products do you use most? EC: Sublimation inks and papers, blank patches, and Q-104/102 water soluble topping and backing. Why do you use these products? EC: EnMart has always been our sublimation partner, and they carry top quality Sawgrass products as well as their own tested brand of transfer paper; their added service and support is fantastic and makes the difference. Q-102 is great for making our own in-house custom shaped emblems, so it’s a natural fit for us as well.